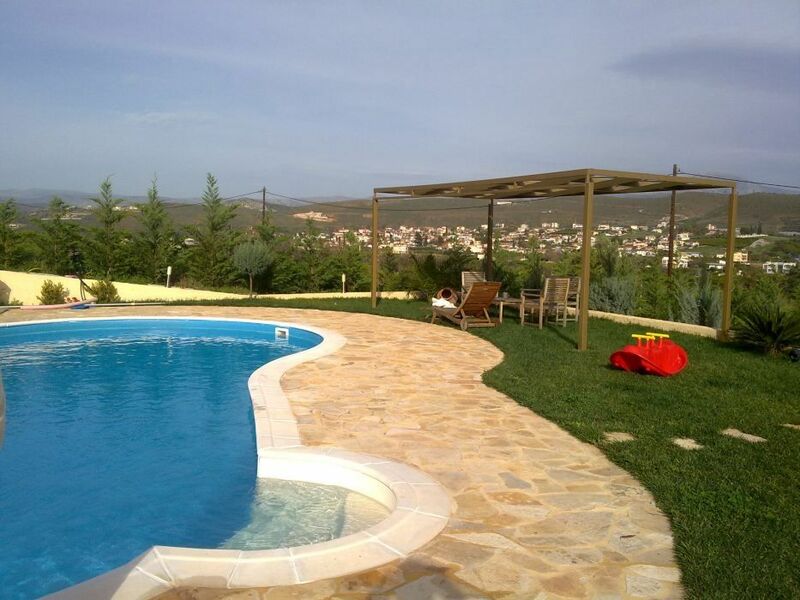 The villa for rent in Peloponnese : is built on landscaped grounds of 1100 m² with a 45 m² private pool, outdoor shower, ping - pong table and a poolside pergola with garden furniture where you can relax and enjoy the tranquillity of the area and wonderful view. There is also a barbecue and a traditional stone oven. Coming in the main entrance is the living room - dining area with a fireplace and an open plan fully equipped kitchen with dishwasher. On ground level are two bedrooms sleeping 5 and the larger bathroom with a washing machine.There is a loft that can sleep 4. The house is fully air-conditioned. Private parking for 4 cars. The Villa is situated between the historic town of Nafplio and the sandy beach resort of Tolo. Nearby are the ancient sites of Asini, Epidavros,Mycenae, Argos and Tiryns. Daily excursions to the islands of Hydra and Spetses are also available.